Most high quality turfgrass varieties do not produce viable seed and must be planted using vegetative propagation. 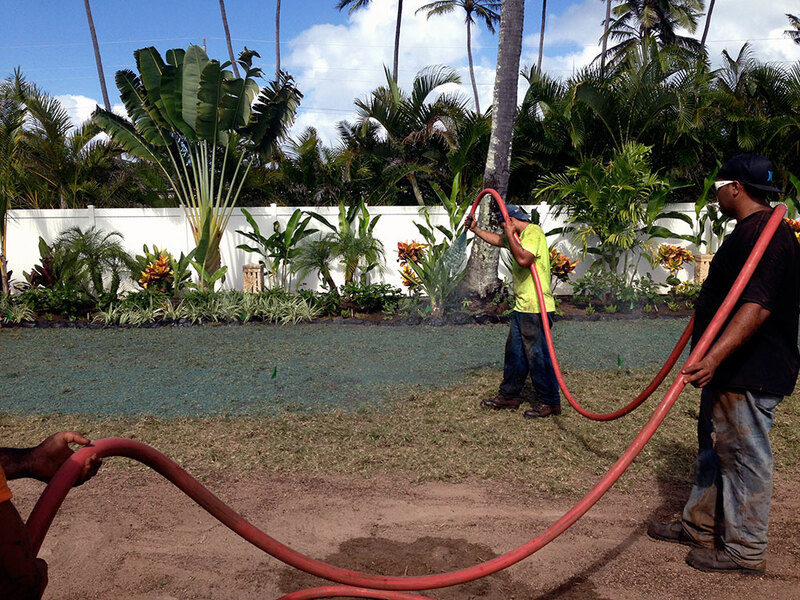 Hydrosprigging is a form of hydraulic planting that uses vegitative cutting "sprigs" instead of seed. This technique is by far the most effective method of quickly establishing a high quality end product.